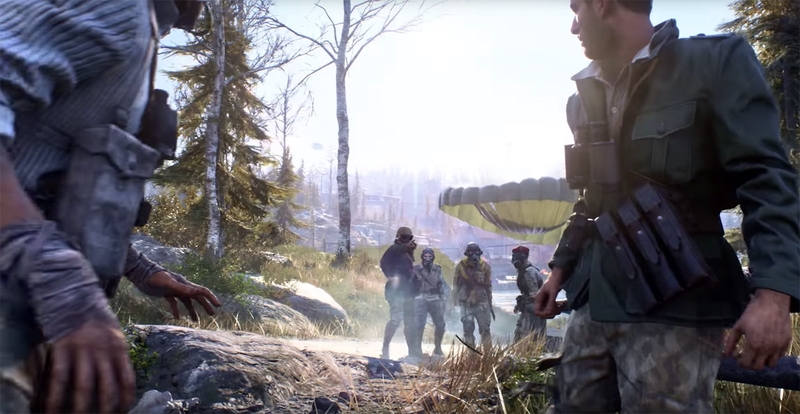 After months of waiting, Battlefield V‘s long-promised (but conspicuously absent) battle royale mode is nearly here. DICE and EA plan to make Firestorm available on March 25th to all players, and they’ve shed more light on what the mode will involve in a reveal trailer (below). The 64-player experience will take place on the largest Battlefield map to date, Halvoy, and will grant access to some rather unusual advantages if you complete objectives. Apparently, a farm tractor carrying artillery is one of your options. You can also expect helicopters, tanks and one-time perks like V-1 strikes. As shown in a leaked clip, Firestorm still embodies most of the familiar traits of battle royale games. Once you’ve dropped into the map, you have to scrounge for gear (sorted by different quality levels) and fend off enemies as you’re pushed closer and closer together by the namesake Firestorm. You still have the chance of being revived like in most titles, although you’ll get a Battlefield-style sidearm to fend off people while you’re down. You won’t get the full Firestorm experience right away. It’ll let you play in four-player squads or by yourself, but duos will have to wait until April. All the same, it’s a big step toward fulfilling the goals DICE and EA set for BFV last year. The timing isn’t all that ideal, though. EA’s other battle royale game, Apex Legends, is still going gangbusters — it may be difficult to reel people into a paid game when Apex offers plenty of thrills for free.